Everything from crates in a warehouse to pipes on an oil field can be lifted with a hoist. This material-handling equipment can be manually operated, hydraulic or powered by electricity or air. Using a hoist reduces the likelihood of strain-related injuries to employees and allows many businesses to run with greater efficiency. The increasing use of hoists is reflected in the rise in both jobs and sales for manufacturers and suppliers in the industry. According to data reported to IndustryNet from 80 hoist companies, the number of jobs in the industry has risen by 11 percent over the past year. Sales have increased at nine times the rate for all manufacturing. The leading companies in the sector are located primarily on the East Coast, in the Midwest and the South. 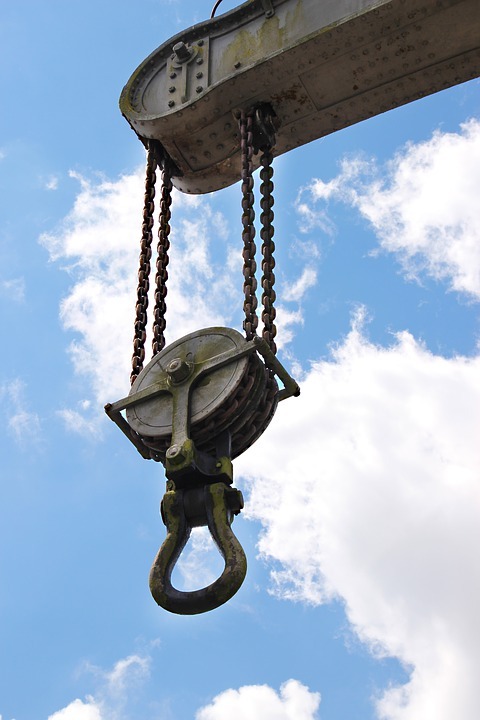 Hoist manufacturers have continued to incorporate advances in technology into their product. Hoists are now available with electronic monitoring of key functions. Housings are designed to promote employee safety and prevent infiltration by environmental elements such as dust. New lines of equipment are more resistant to harsh environments. The companies highlighted below reflect the growth and innovation taking place in the industry. A Columbus McKinnon Corp. facility is located in Damascus, Virginia, famous for its status as a "trail town" for those who enjoy the beauty of the Blue Ridge Mountains. The plant provides 270 jobs to the area and is seen as a manufacturing powerhouse. From research and development through shipping, every step of fabricating hoists is performed on-site in the 200,000-square-foot facilities. The brand produced is called Lodestar, a long-trusted workhorse. Columbus McKinnon Corp. in Lisbon, Ohio, is the home of Chester Hoists, which employes 250 workers. Its products are used for military applications and on offshore oil platforms. The hoists are designed for specific applications, with spark-free models available for use around flammable substances. Products are offered with both manual and electric drives. UTC Aerospace Systems - Sensors and Integrated Systems in Brea, California, is a unit of United Technologies Corp. UTC is a significant aerospace supplier. Its latest project involves an optical payload for small unmanned aerial systems. The many industries the company serves include marine, power and health. The facility has a workforce of 200. Columbus McKinnon Corp. in Wadesboro, North Carolina, employs 180 workers. This company is a leader in the utilization of electronic technology. Its Pulse Monitor captures data including motor starts, cumulative run times, and overcapacity usage that can be used for both troubleshooting and in the prediction of future problems. It is standard on popular brands Yale Global King and Shaw-Box World Series wire rope hoists. The company also sells monitoring kits for the adaptation of the company's other hoists. Last year, Harrington Hoists Inc., in Manheim, Pennsylvania, announced a new line of electric chain hoists. By using a variable frequency drive, these units can automatically increase their speeds up to 130 percent when the load is at less than 30 percent. The models are built with an IP55-rated sealed housing. The Manheim facility employs 150 personnel. The rubber-tired gantry cranes from Shuttlelift, located in Sturgeon Bay, Wisconsin, give industry the power to raise massive loads. Shuttlelift builds equipment to client specifications with an eye on reducing operational costs for an improved bottom line. A recent customer is Oldcastle Precast, whose purchase of new cranes provided the company with the ability to lift a more extensive array of products for the transportation industry. Shuttlelift employs a workforce of 135. The 124 employees of Breeze-Eastern LLC, in Whippany, New Jersey, create - among other products - the weapons handling systems required by both military and civilian operators. With over 70 years of innovation, the company developed the first technology for helicopter rescues. Its network of internationally certified service centers is growing, and it maintains an in-house repair and overhaul facility. The company also stocks an extensive inventory of parts to keep its customers up and running. The goal of the 90 employees of Hoist and Crane Service Group in Jefferson, Louisiana, is to increase safety and efficiency for their customers. The company specializes in preventative maintenance, repairs and inspections, including those required by the Occupational Safety and Health Administration. It services units ranging from small chain hoists to overhead production cranes. The company also provides data management services. Rugby Mfg. Co. in Rugby, North Dakota, is a leading vendor of hoists for trucks and trailers. The 90 employees at Rugby are devoted to sustainability. They recycle steel, aluminum, plastics and cardboard. Rugby invests in technologies that reduce energy usage while enhancing productivity. Its environmental policy can be found here. ACCO Material Handling Solutions in York, Pennsylvania, supplies its customers with Wright Speedway®, Work-Rated® and New Century Series® hoists for use in hazardous environments. This specialized equipment can be operated in the presence of flammable gases and combustible particulates. Many components are engineered in accordance with NEMA standards. Explosion-proof Work-Rated® hoists are available with radio controls. The York facility has 90 employees. Allied Power Products Inc. in Beaverton, Oregon, provides hand, hydraulic, pneumatic and either AC or DC electrically driven hoists. It designs cranes to meet companies' application-specific needs. Industries that Allied serves are as diverse as logging, construction, marine and arts and entertainment. The facility employs 80 workers. IndustryNet compiles and maintains up-to-date information on over 420,000 manufacturers and suppliers of more than 10,000 products and services. IndustryNet users can compile a list of hoist companies by capabilities and location, request quotes, download catalogs, view company photo galleries and videos and more, all in one place, and all for free.